For almost as long as the proslavery party in Kansas and Missouri had known of Lawrence, they complained about the Free State Hotel. The accursed Emigrant Aid Company, that gaggle of fanatical Yankees, owned the building and had made it into a fortress. Samuel Lecompte’s grand jury had recommended its reduction and now that the proslavery mob had come to Lawrence unopposed, they intended to get the job done. They would waste the trip if they went home with only two printing presses destroyed and a few books stolen. The enemy planted their artillery in front of the hotel, one hundred and fifty feet distant from it, across Massachusetts-street. The hotel was a very large building, three full stories high besides the basement; it seemed almost impossible that they could miss it. They discovered the wins and liquors, a good stock of which was on hand, and, helping themselves freely to these and to eatables and cigars, the heroes of this gallant campaign were soon in an interesting condition. the ball missing the hotel altogether, going clear over it. Phillips probably embroidered that moment, but an inexperienced gunner at a distance of more than a hundred feet probably could miss a three story building even without the aid of alcohol. The second shot found the building, albeit on a corner. Some fifty rounds were fired, when, finding it slow business, the hotel looking, externally, little the worse for it, they undertook to blow it up. Four kegs of gunpowder were placed in it, but only two of them exploded, and they made little report, and still less impression on the walls; but fire was communicated to the building in several places, and it was soon magnificent a sea of flame. In other words, the proslavery men tried to blow the hotel away. Failing at that, they opted to blow it up. Failing once more, some brave, frustrated souls torched it. One imagines they spared some thoughts for those two unexploded kegs of gunpowder when they went up with their burning brands. That day, all Samuel Jones’ dreams had come true. The border ruffians came into Lawrence and, after a brief delay to confirm that no one had mined the street, began their fun at the offices of the Free State, Josiah Miller’s paper. Miller, like many printers, sold books as well as his paper. The mob helped themselves to his stock whilst destroying his press. The press itself went into the Kansas River, but somewhere along the line hauling the type there became too much work and it got tossed in the street. An officer or two tried to stop the looting and restrict the work to ending the paper, to no avail. The Herald of Freedom office is a tall, narrow, concrete building. Into this the gallant “chivalry” were afraid to venture. The dread of mines and infernal machines was a sort of nightmare with them. In order to be safe in entering the office in question, they drove some young men, residents of the town, up the stairs and into the building at the point of the bayonet. I would like to know how they expected that to work. Driving someone by bayonet requires one to stand close by, probably in range of any explosion they would trigger. Phillips calls it a “stupid policy”. He may have made it up, but his puzzlement suggests otherwise. The filibusters might not have known themselves and simply decided that if Lawrence’s people would swear to a building’s safety, they could do it on their own flesh and blood. That struck two items off the agenda, but the destruction of the Free State Hotel remained undone. David Rice Atchison gave a speech outside Lawrence, interrupted by cheers as Samuel Jones came back with the town’s cannons. Then the proslavery mob, after waiting so long, finally moved in with flags waving. Rumors of mined streets delayed them only briefly. Many of the women and children exited, some of the former looking back over their shoulders and telling the proslavery mob just what they thought of affairs. They had come to do more than visit. Early in the month, Samuel Lecompte’s grand jury declared the antislavery papers and free state hotels public menaces in need of suppression. The mob got to that straightaway, starting with Josiah Miller’s Free State. Miller operated out of the second story of what William Phillips calls “a concrete building”. I think he means cemented stone, not a modern poured concrete structure. A store occupied the first floor and the border ruffians went there first. One of the ruffian officers entered the store and demanded of the proprietor if there was a mine under the building to blow it up. The merchant assured him there was not, when the interrogator told him that they were going up into the printing office, and that if anything happened he would hold him responsible. A keg of gunpowder wouldn’t blow up a building quite like a modern artillery shell, but expecting to survive the experience still sounds awfully hopeful. Satisfied, the proslavery men entered the Free State office. The press and other articles were first broken, so as to be rendered perfectly useless, and then thrown into the Kansas river. As this was some distance to carry the articles, they got tired of it, and began throwing the remainder in the street. Books and papers were thrown in the street. If the Free State had machinery anything like the Herald of Freedom did, which seems likely, then the proslavery men had to lug a lot of metal around just in the steam press. The lead type would only add to the fun. Since this meant free books, some of the mob helped themselves. Some officers intervened to stop that, claiming that the antislavery men would use the theft against them. William Phillips, just the antislavery man who did, must have related that with particular relish. 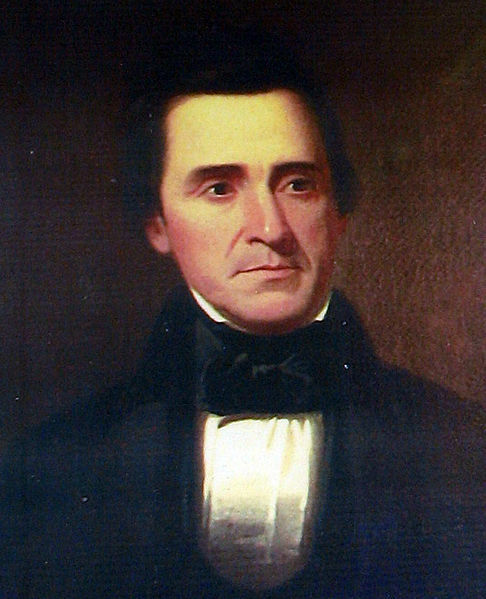 Colonel Zadoc Jackson, of Georgia, exerted himself to prevent the plunder, as did several others; they were prepared for the most desperate war against Freedom and American rights, but they had too much honor, or too much pride, to wish to occupy the position of highwaymen. Unfortunately, these officers were unable to prevent these outrages, or restrain the villains they had gathered up to do their lawless work. Honor and pride had their pleasures, but free books offered still greater joys. I.B. Donaldson’s overgrown posse, now handed over to Samuel Jones and still bent on delivering some long-awaited punishment to the antislavery town of Lawrence, cheered when Jones and twenty of their number came out of Lawrence with the town’s cannons in tow. David Rice Atchison, Missouri’s just-former Senator, resumed his speech after. The Senator wanted the mob to behave themselves. Gentlemen should treat women well, even women of the enemy, unless they fought back. Then those gentlemen should kill those women without hesitation. At “the least appearance of resistance,” they could cast all restraint aside. Good order would last as long as no one got in the way. trample under foot the rights of American freemen. As motley an assortment of banners floated over them. The flag of South Carolina, with a crimson star in the centre, and the motto “Southern rights.” Another flag resembled the American flag, being striped like it; but there were no stars, and in their stead a rampant tiger, -fit emblem of the men it floated over, and the cause it vindicated. Another had white and black alternate stripes, which truly represented the cursed amalgamation of races which is ruining the slave states, and which these nullifying filibusters meant to introduce into Kansas, and to nationalize. One banner bore the inscription, “South Carolina;” another, “Supremacy of the white race,” on the one side, and “Kansas, the outpost,” on the other. Phillips shared his fear of racial amalgamation with most white Americans, whatever their politics. By implication he repeated the standard abolitionist attack that slavery turned the whole South into a brothel, which had some truth to it, but his fear of race mixing also stands on its own. The notion that the proslavery force would have boasted their intent via a flag doesn’t bear scrutiny, though. Most likely Phillips invented the flag or gave it his own meaning. Phillips credits Jones with advising the women and children to get out of town before the army arrived, which speaks volumes. We can attribute some of the impetus to custom, but it also repeats the undercurrent often seen among proslavery leaders that once their boys got going they might not stop for, or at, anything. All the same, few had gone until then. It was a trying and sorrowful scene to see the people of Lawrence leave their homes and fly from the place. Some of the women were moved to tears, and others would look back, like Lot’s wife, and freely vent their indignation. They had not time to move their effects; and, had they been seen taking them off, they would probably have been stopped. David Rice Atchison, one of the principle architects of Kansas’ woes, had probably had a few. He may or may not have had the multi-day “debauch” that William Phillips credited him with, but he earned his reputation as a hard drinking man fair and square. 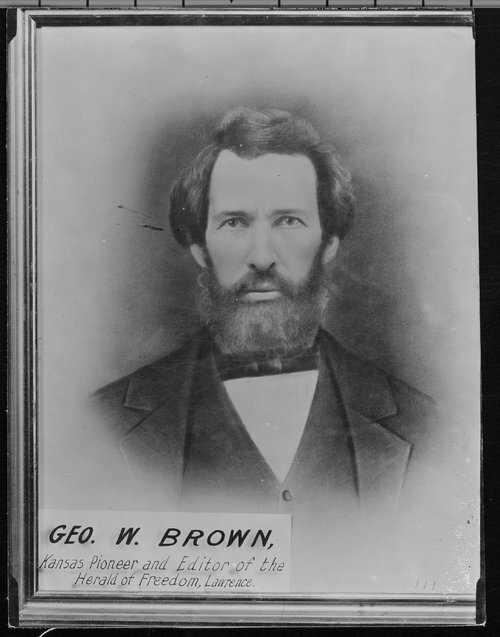 As Sheriff Jones hauled Lawrence’s cannons out of town, Missouri’s former senator probably still hoped his Kansas antics would get him his seat back. He gave a speech. Lawrence appeared resigned to submission, but should that change and the face “the least appearance of resistance, no quarter should be shown.” Those Southern gentlemen had come a long way to kill abolitionists. If they needed an excuse, then Davy Atchison gave it to them. Over the course of his speech he dismounted, went over to one of the proslavery army’s cannons, and mounted it. One could not miss the symbolism. William Addison Phillips did not like Samuel Pomeroy, of the Emigrant Aid Society, or Lieutenant Governor Roberts one bit. To hear him tell it, the people of Lawrence had gone to the trouble of burying their five cannons under the foundation of a house. No one would find them there. When Samuel Jones came into town at the head of a posse of twenty men, with a few hundred friends not far off, they could have let him ransack Lawrence all day and he would have left empty handed. Pomeroy, Roberts, and the rest of the committee of safety, didn’t care to risk that and gave up the artillery. They even did some of the digging themselves. and free-state men were called on to do this ignominious service. Numbers of those whom Jones thus asked haughtily refused. Some of the men with Jones threatened to use their arms, and rode at some of the young men who refused, and threatened them with their bayonets, but did not intimidate them into compliance. A few, less resolute, aided the ruffians to remove the guns. Phillips anger burns off the page here. At the moment of decision, his neighbors folded like cowards. They even did the border ruffians’ dirty work for them, though only a minority went so far. Perhaps more did at the time and Phillips counted for convenience in his appeal to outraged antislavery people back East. Either way, Lawrence lost its heavy weapons and a few of the Sharpe’s rifles. several hundred men, with United States muskets and fixed bayonets […] taking position in the town. Phillips names their leaders, Atchison, Buford, Stringfellow, and Colonel Titus, and puts them at the south end of town, “dragging their cannon with them.” They arrayed themselves in formation and Atchison gave a speech. That great border ruffian, ex-Senator, ex-Vice President of the United States, was not remarkably sober on this important occasion. For several days he and his confreres had been engaged in a debauch, in which, perhaps, they strove to drown their knowledge of better things. Various reports of this wild speech have been published, but all more or less incorrect. William Phillips, naturally had the true version. Sorry for the tardy post, Gentle Readers. I scheduled it incorrectly. Samuel Jones, process in hand, posse at his back, and fresh off getting shot the last time he came to Lawrence, had probably gave more than a little thought to revenge on May 21, 1856. W.P. Fain had come, made arrests, and gone. Jones still had his pretense to attend to and meant to see himself revenged on Lawrence. He inherited Marshal Donaldson’s posse and rode into town with about twenty of them, arriving about three in the afternoon. Jones made for the Free State Hotel and there called out Samuel Pomeroy. Jones, with an army at his back, thirsting for blood and plunder; the committee, who had provided no means of defence, and who had only a handful of men in Lawrence, who, if they attempted to resist, would merely be butchered, unless the invaders were cowards! An answer came back before the Sheriff called down a bombardment. Lawrence would surrender her cannons, but the rifles and other arms belonged to the men who held them. The committee had no authority to demand their surrender. Jones would have to go person to person and ask each one. The artillery in question consisted of the twelve-pound brass howitzer, brought into Lawrence so gallantly during the Wakarusa war, and some four other small brass breech-loading cannon, carrying a pound ball. Phillips describes the four smaller field pieces as “nearly useless” but doesn’t miss the chance to go after the Committee for giving them up. He informs the reader that Lawrence had buried all the cannons beneath a house, where no one would think to look. Pomeroy and Lieutenant Governor Roberts thus gave them up gratuitously. Dine and dash aside, W.P. Fain had come and gone from Lawrence. Two members of the committee of safety, Topliff and Perry, had their house burgled while they aided him with making his arrest. But no one had died yet that day. The Free State Hotel still stood. The printing presses remained untroubled. If the day kept on like this, then the second campaign against Lawrence might suffer only a single death in excess of the one that the first campaign had seen. Robert S. Kelley would go home cruelly disappointed yet again. but that Sheriff Jones had some processes to serve, and that they would hold themselves in readiness to go with him. In the weeks since his shooting, Jones had recovered enough to sit a horse and make himself a menace again. Phillips takes a paragraph to mock Jones’ injury, noting correctly that the proslavery press declared him murdered. The crowd greeted the sheriff “with enthusiastic cheering.” Lawrence had not gotten clear of trouble after all. It is proper to state that several of those men whose names are attached to the document declare that it had not their assent. Messrs. Allen, Babcock, Mallory, and Grover, repudiate, and declare they did not sign it; some of these admitting that they signed a paper that forenoon, but know of no part of such a document sustaining or submitting to the territorial laws. I have been informed that Dr. Prentiss was not present when it was drafted. If Phillips and his informants told the truth, rather than fixing their reputations after the fact, then only Samuel Pomeroy and W.Y. Roberts endorsed Lawrence’s last appeal. It would not stop Samuel Jones. He may have had process to serve, but he surely wanted revenge and had previously taken any pretext to move against Lawrence. Jones had threatened the lives of antislavery Kansans all the way back to the legislative elections more than a year ago. Even if a letter could save Lawrence from I.B. Donaldson, one would not sway Sheriff Jones. W.P. 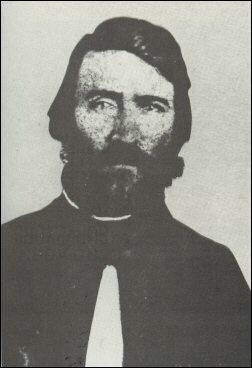 Fain came into Lawrence on May 22, 1856, to make the arrests that his boss, US Marshal I.B. Donaldson, had feared to attempt. He had two posses on hand that day, one of about ten men that he took into the town and augmented with locals and another of five to eight hundred proslavery militants who occupied the heights above. As on his previous visit, Fain had no trouble at all moving openly about Lawrence. Instead, he and his allies offered up their version of bad behavior. Fain and his posse dined at the Free State Hotel, then left without paying. While in Lawrence for some hours, they arrested all of two men. While these arrests were making, and while the posse he had raised in Lawrence was under his orders and retained by him, two of the number, Mr. Perry and Col. Topliff, were robbed by the posse on the hill. They lived in a house on the side of Mt. Oread, near which the part of the posse on the hill were stationed. During the time they were waiting for Fain to go through his legal maneuver, they busied themselves in breaking into a few houses in the suburbs, and, amongst other performances, robbed these gentlemen of several hundred dollars in money, a gold watch, and other property. Phillips would have us know that only some of the posse did that, but it sounds like they came off with quite the haul. He probably means to imply that Fain’s summons kept Topliff and Perry from their home and thus facilitated the burglary. It might have worked out that way, but Phillips doesn’t tell us if the two men would have remained in their home once the proslavery force arrived or gone somewhere clear of it. It seems that Fain found them in Lawrence proper and if he had done something so obvious as to call them from their homes on his way into town, I can’t believe Phillips would have neglected the chance to mention it. 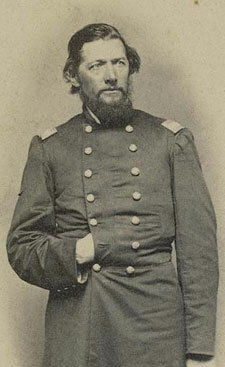 According to the Lawrence memorialists, who included Perry, the committee of safety had entrusted Topliff with another missive for Marshal Donaldson. When Fain and his posse left town, Topliff went with them to deliver it. The committee repeated their submission to federal authority and request for the protection of the government. For the private property already taken by your posse we ask indemnification, and what remains to us and our citizens we throw upon you for protection, trusting that under the flag of our Union and within the folds of the Constitution we may obtain safety. Fain’s dine and dash operation can’t have won him any friends, but he had come, made his arrests, and went without incident. He promised that the Free State Hotel would go unmolested. Maybe it could all work out and Donaldson would set aside his posse just as the proslavery leaders had sent their men home from Lawrence before. If it had happened once, it could happen again. there were some fluttering amongst timid hearts, recollections of bloody threats, and the knowledge of the murderous wishes of their enemies. Groups began to cluster here and there in the streets, and many eyes were turned to the body of armed horsemen on the hill; but there was no demonstration of resistance. Around seven in the morning, the posse descended from the highest point on Mount Oread to the one nearest town and seized Governor Robinson’s house to use as a headquarters. They then planted their cannon on the end of the hill overlooking the town, and pointed towards it. This was long musket-range from the town, but good range for breech-loading rifles. the war-flag […] on this was inscribed, “Southern Rights.” Soon after, a United States flag, the “stripes and stars” floated beside it. The policy of the United States from independence until 1860 floated there. The Lawrence memorialists claimed that the red flag would have spurred resistance, whatever the situation, except for the red, white, and blue with it. Whether they said as much to save face after the fact or meant it, ion the end they followed the same policy that their party had adopted before: Free state Kansans might fight with proslavery individuals acting privately and, in extremis, against the territorial government. They had no intention of levying war against the United States. Dr. Jarvin, a pro-slavery resident of Lawrence, John A. Berry, C.W Topliff, Wm. Jones, S.W. Eldridge, and T.B. Eldridge. Those same Eldridges had gone off to Lecompton to plead the case of their hotel furniture to the Governor. Now, bound by their previous offer to join any posse summoned, they went to work for the Marshal. He had warrants for the arrest of George Deitzler and G.W. Smith, which he managed without difficulty. He staid until after dinner; called for dinner at the hotel, where he, and the posse he brought with him, dined; he left immediately after, neither he nor his companions paying the bill. In other words, Fain came into Lawrence unarmed and summoned the de facto proprietors of the Free State Hotel and leaders of the committee of safety to aid him. Then he arrested two free state men and hung around town until noon. He went to the Eldridge’s hotel and executed a dine and dash against two of the men he had insisted help him carry out his duties.